Union Labour Minister Bandaru Dattatreya said the government has launched Atal Pension Yojana, PradhanMantri Jeevan Jyoti Bima Yojana and Pradhan Mantri SurakshaBima Yojana for all citizens. New Delhi: Employees of IT start-ups and industries can claim provident fund and social security benefits under various provisions of labour laws, Union Labour Minister Bandaru Dattatreya said in Parliament on Monday. 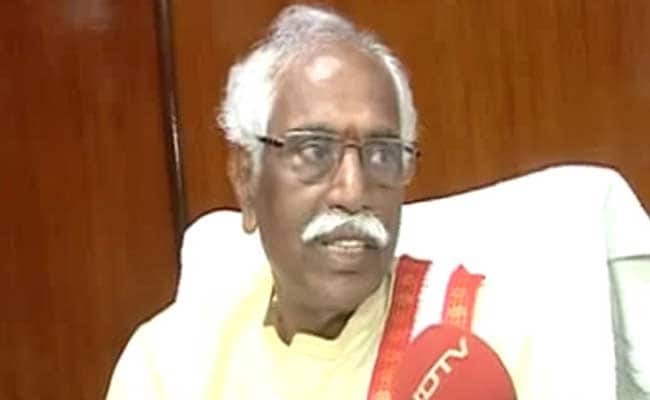 "The workers of IT start-ups and small scale industries may avail of benefits of provisions of the Employees' Provident Funds and Miscellaneous Provisions Act, the Employees' State Insurance Act and social security schemes under the Unorganised Workers' Social Security Act depending on eligibility," Mr Dattatreya said in a written reply in Lok Sabha, the lower house of Parliament. He was responding to a question on social security and welfare of workers in these sectors. The government has launched Atal Pension Yojana, Pradhan Mantri Jeevan Jyoti Bima Yojana and Pradhan Mantri Suraksha Bima Yojana for all citizens, he said. These schemes are specifically targeted towards unorganised workers to give them comprehensive social security. In a separate reply, Mr Dattatreya said the ministry is implementing the National Career Service (NCS) project in mission mode to transform the National Employment Service to provide job-related services. Job seekers and employers can register with NCS, match jobs, get career counselling as well as vocational guidance. "The scope of the NCS project was enhanced during 2016-17 to include a component for providing part funds for improving the infrastructure in employment exchanges for organising job fairs," he added. Nearly 540 job fairs were organised under NCS last fiscal year, Mr Dattatreya added.